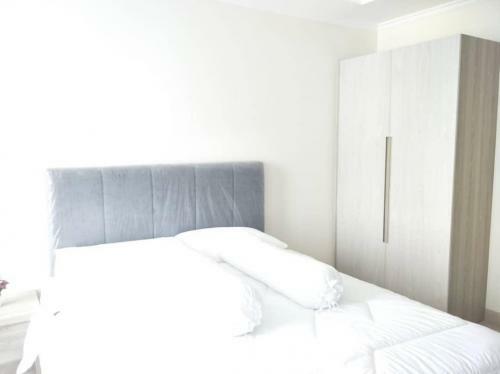 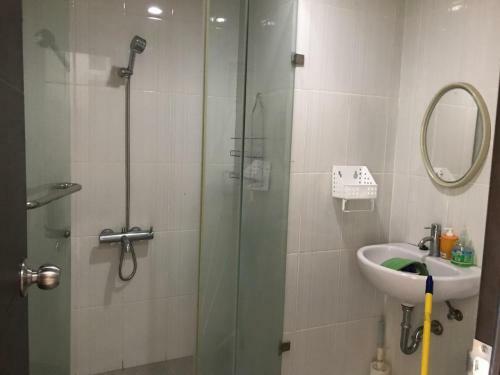 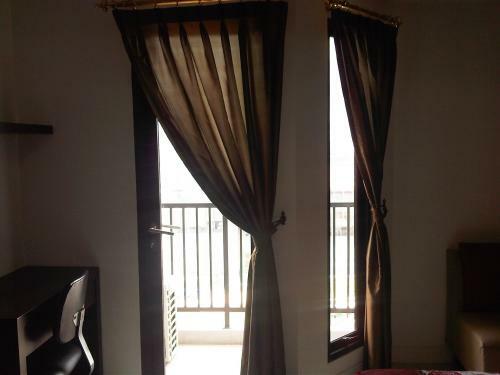 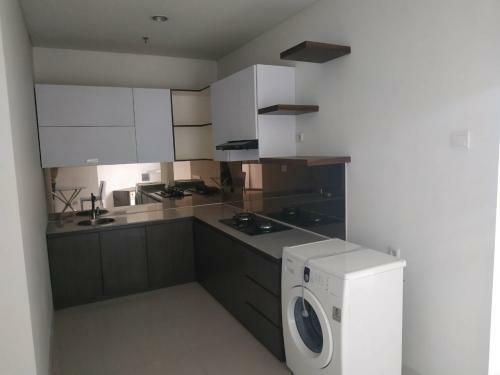 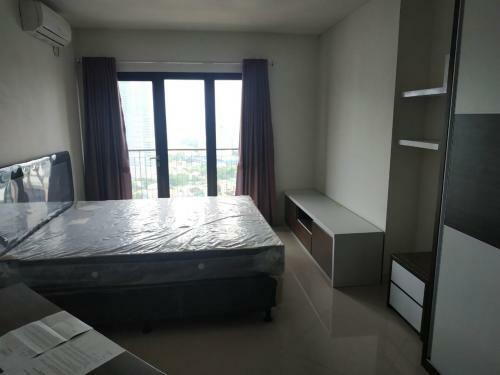 Condition: Full furnished room with bed, LCD TV, AC, water heater, refrigerator, Coffee Table, Balcony, Pantry and Kitchen Set with Gas Stove & Hood. 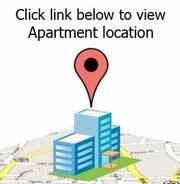 Facility: Access card, swimming pool, gym, minimart, laundry, Restaurant/Cafe, Musholla, basement parking area, 24 hours security with CCTV. 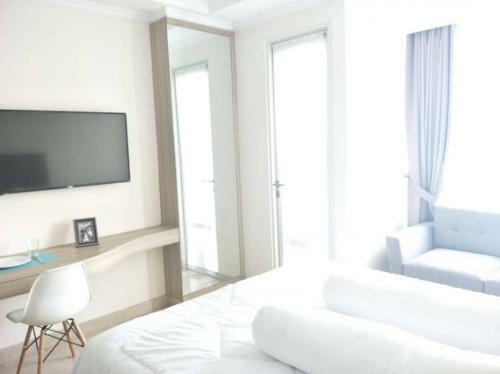 Additional Info: ery strategic location within walking distance to Central Business District Sudirman and Casablanca Kuningan (Wisma Metropolitan, WTC, HSBC, BCA and Sampoerna Strategic Square). 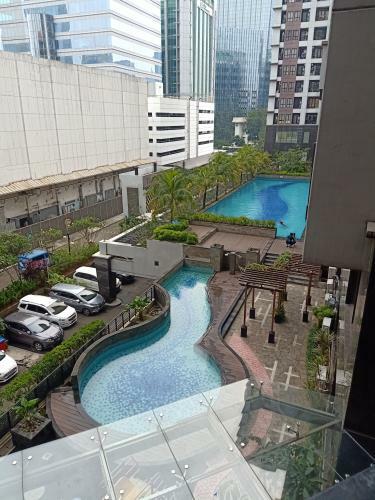 Near from Karet Busway stop and close to shopping center (ITC Kuningan, Mall Ambassador, Kuningan City, Lotte Shopping Avenue and Ciputra World). 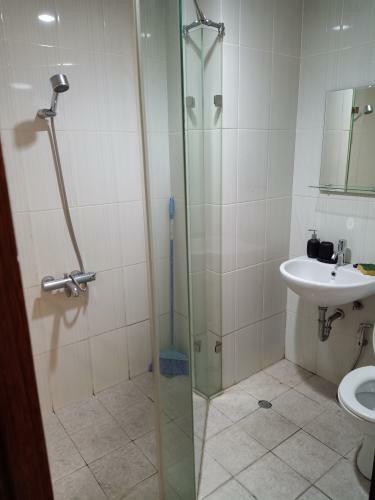 Facility: Apartemen ini memanjakan Anda dengan berbagai fasilitas, termasuk kolam renang, tempat bermain anak, mini market, pusat kebugaran, ruang serba guna, kafe, restoran, lahan parkir bawah tanah serta kamera pengawas dan keamanan 24 jam. 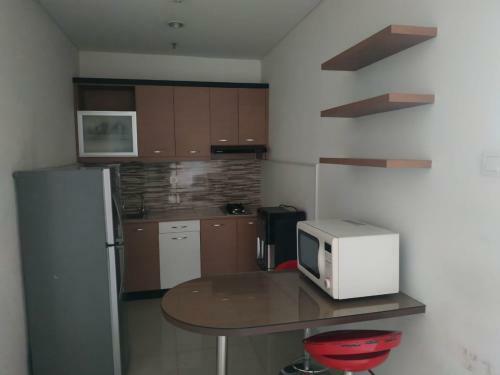 Ada beberapa toko dan layanan menarik yang tersedia di dalam Apartemen Taman Sari Semanggi. 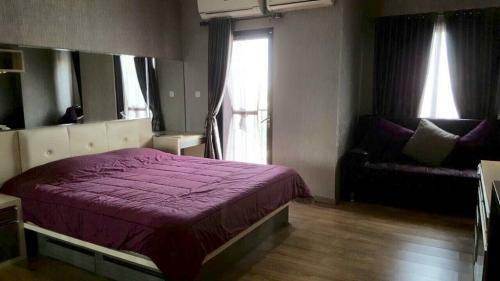 Anda bisa menemukan restoran yang melayani makanan Indonesia dan Cina, binatu, toko swalayan, salon & spa, dokter gigi, ATM dan apotek. 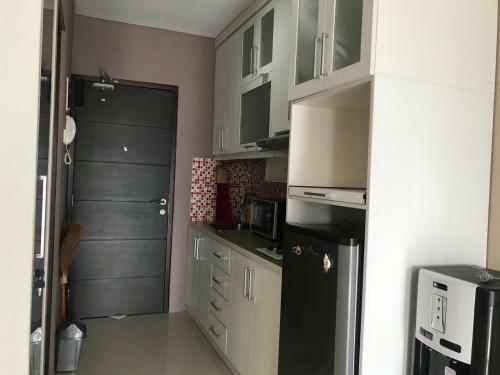 This apartment pampers you with a variety of facilities, including a swimming pool, children’s playground, mini market, fitness center, function room, cafe, restaurant, underground parking and surveillance cameras and 24-hour security. 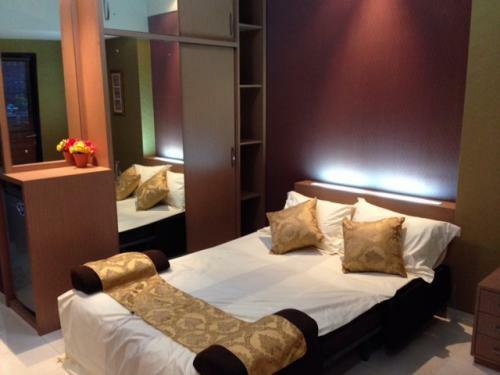 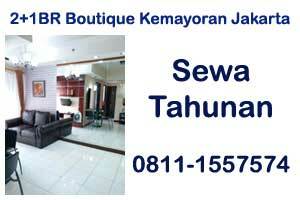 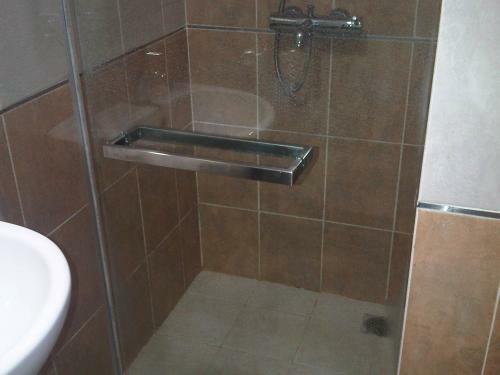 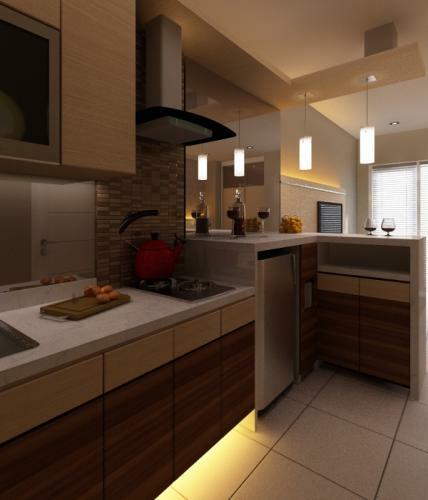 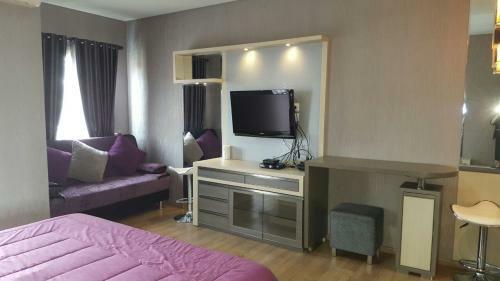 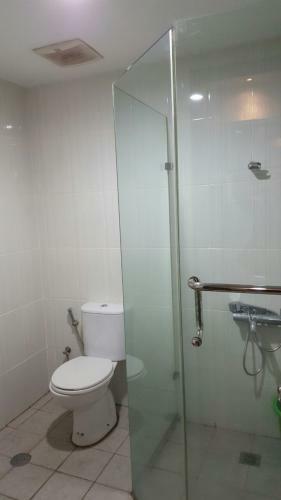 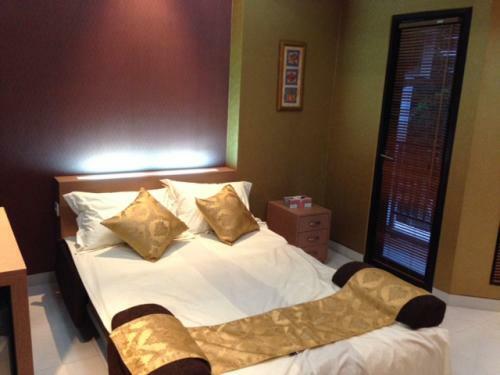 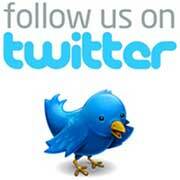 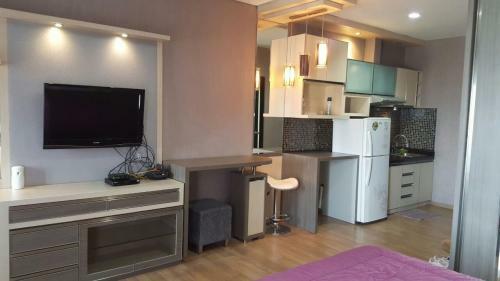 There are several interesting shops and services available in Taman Sari Semanggi Apartments. 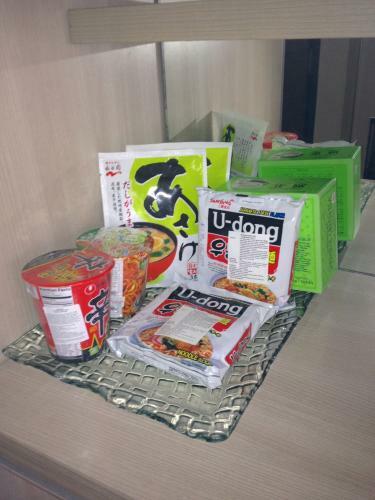 You can find restaurants that serve Indonesian and Chinese food, laundry, supermarkets, salons & spas, dentists, ATMs and pharmacies. 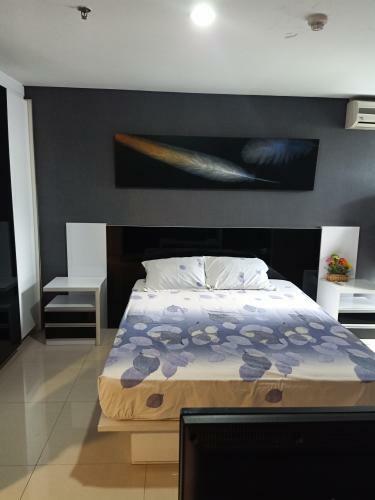 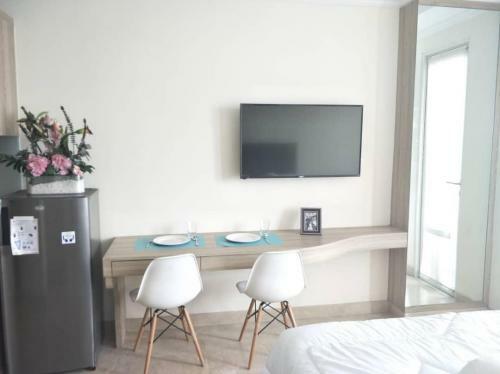 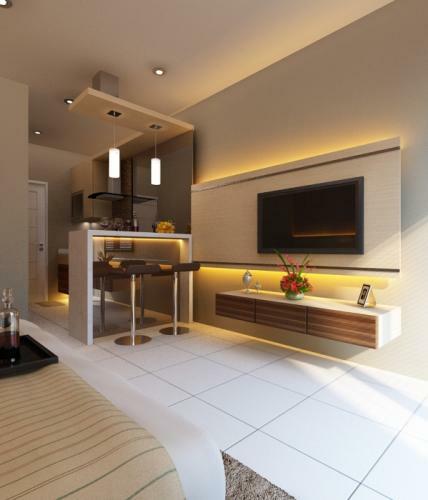 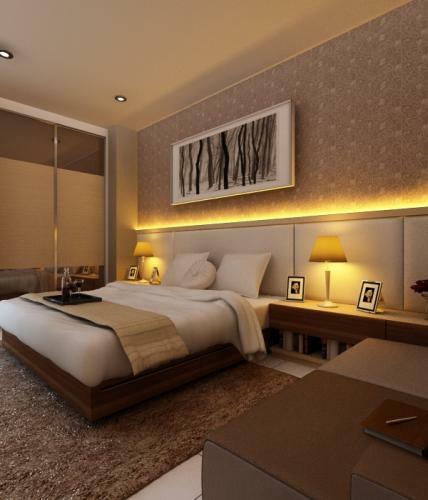 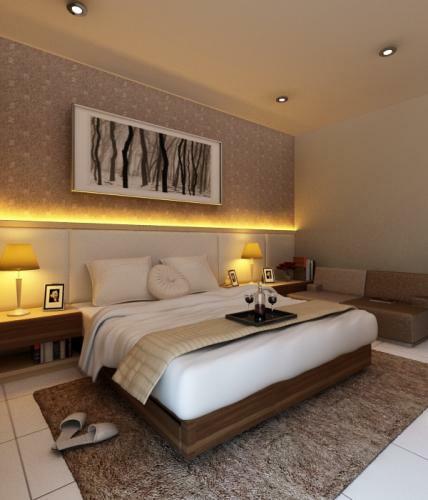 Taman Sari Semanggi Apartment is located behind Gatot Subroto, a strategic location with easy access to the CBD. 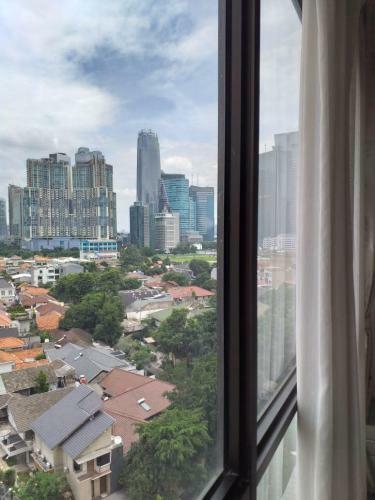 This area is surrounded by shopping centers (Plaza Semanggi, Lotte Shopping Avenue, ITC Ambassador and Kuningan City) and office buildings in Gatot Subroto, Sudirman, Mega Kuningan, Rasuna Said and SCBD. 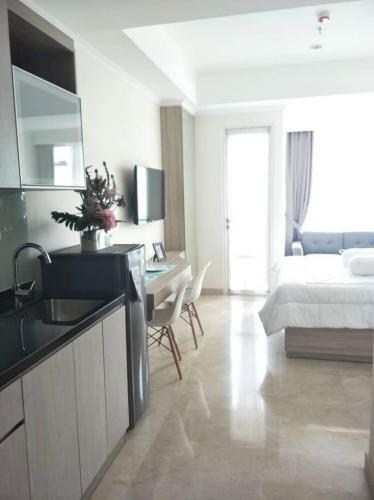 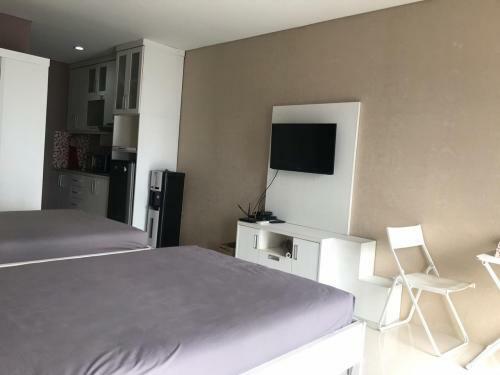 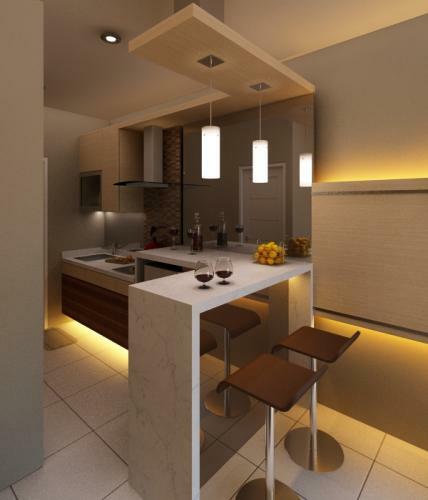 As the second property built by Wika Realty after Taman Sari Sudirman, Taman Sari Semanggi Apartment is a luxury apartment with medium end prices. 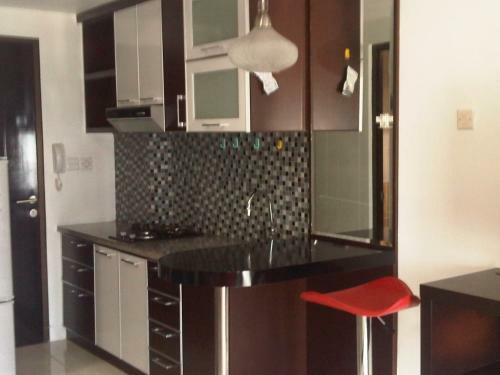 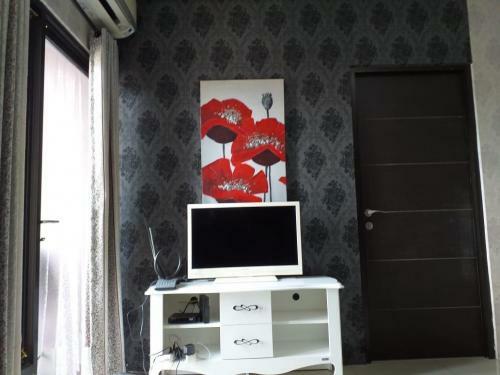 This apartment is suitable for newly married couples, families, as well as professionals and good investments. 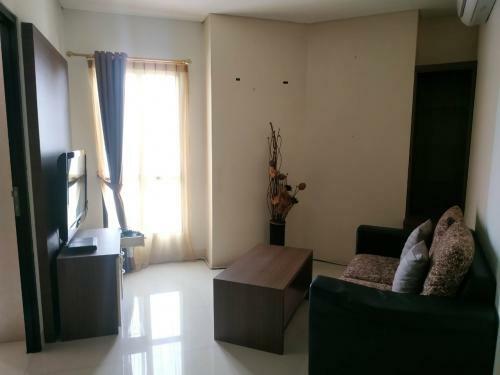 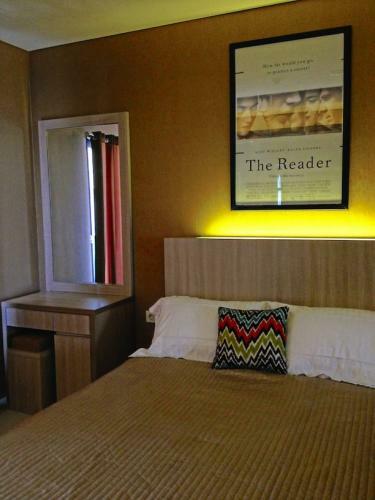 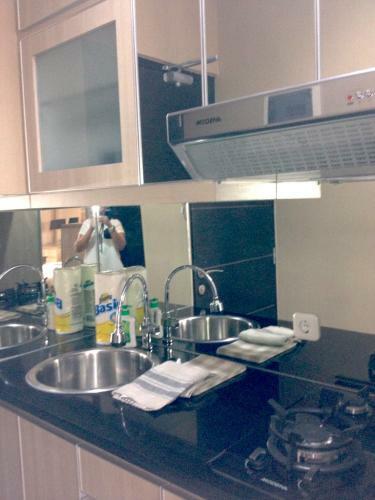 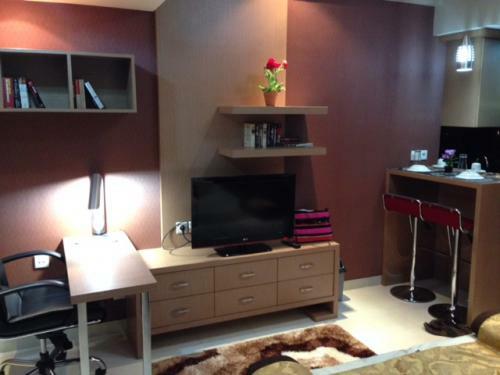 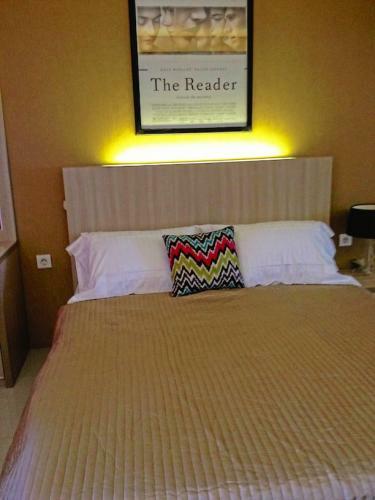 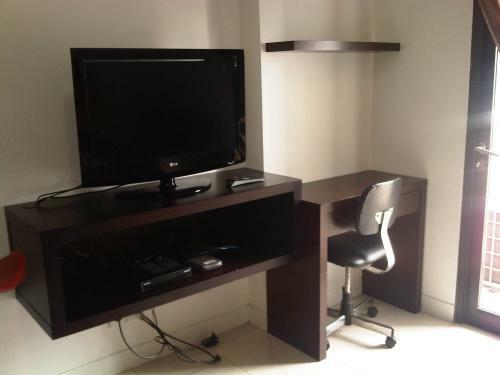 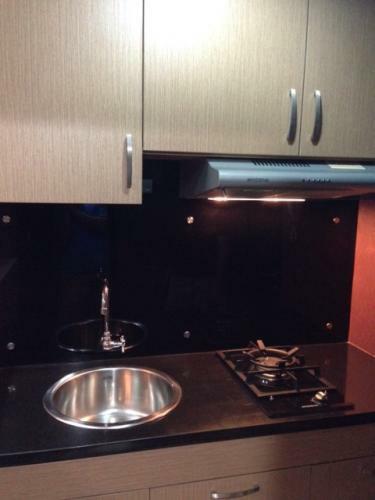 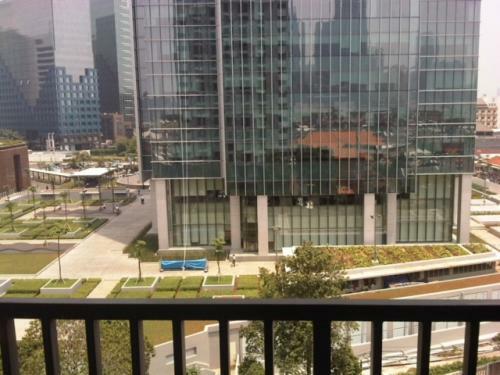 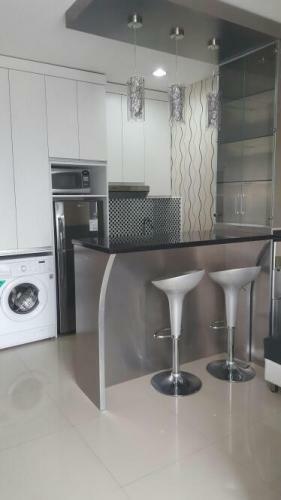 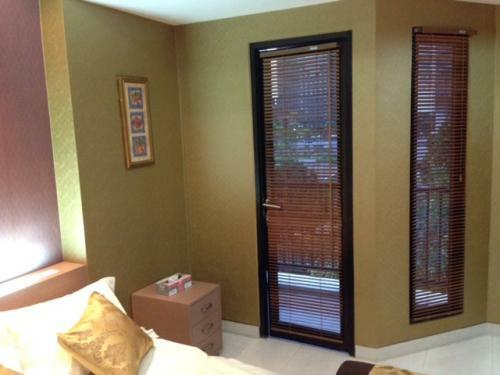 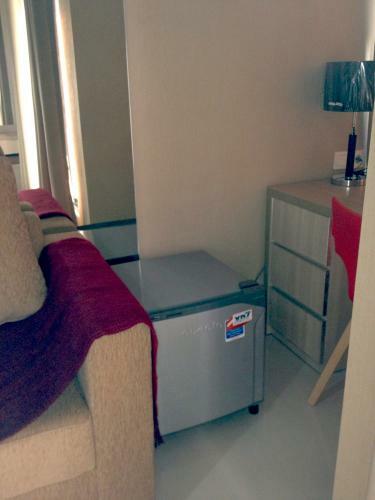 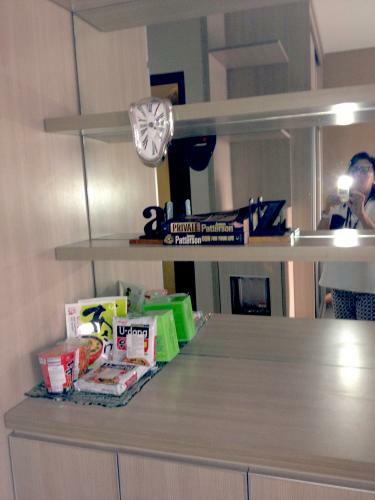 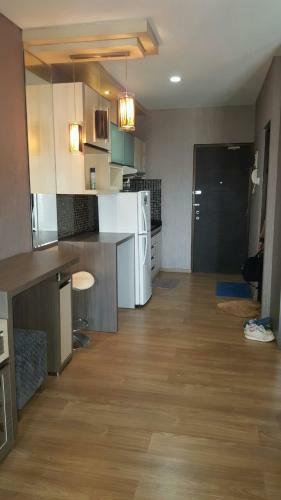 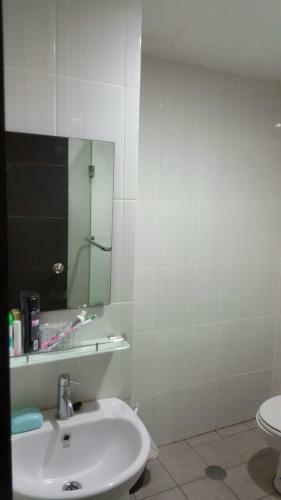 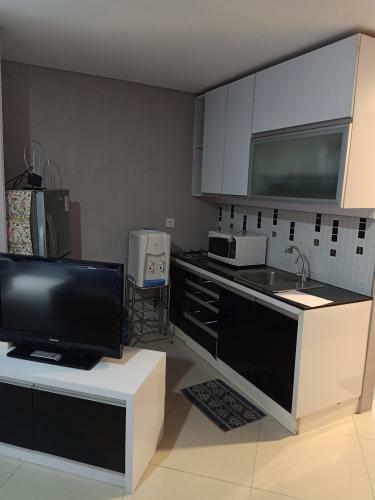 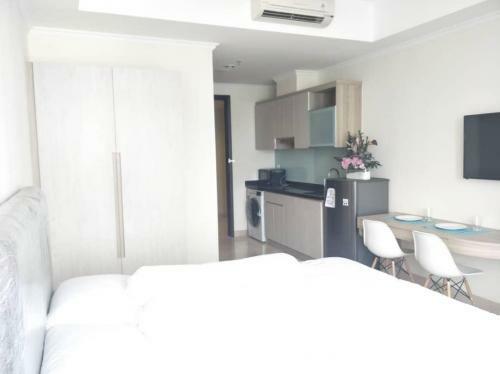 The location of this apartment is really great for anyone who works in Sudirman Central Business District. 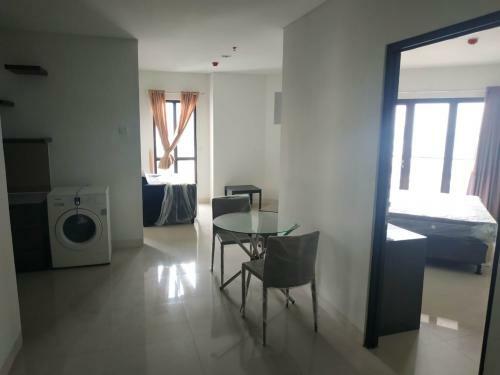 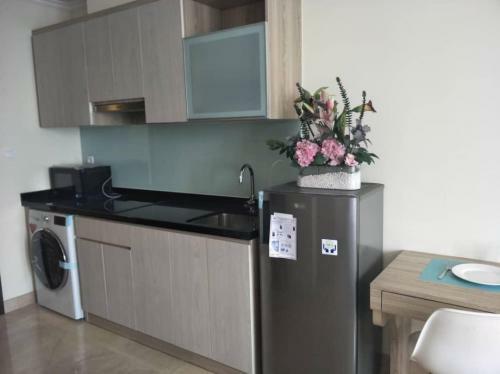 There are also several well-known hospitals such as Siloam, Jakarta Hospital, MMC and Medistra and major universities such as Atma Jaya near this apartment. 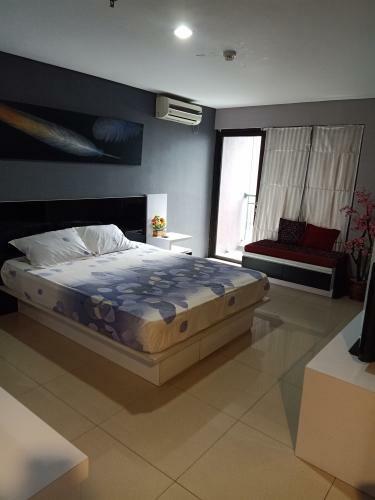 Bung Karno Stadium is also located relatively close and is perfect for those of you who like to run morning. 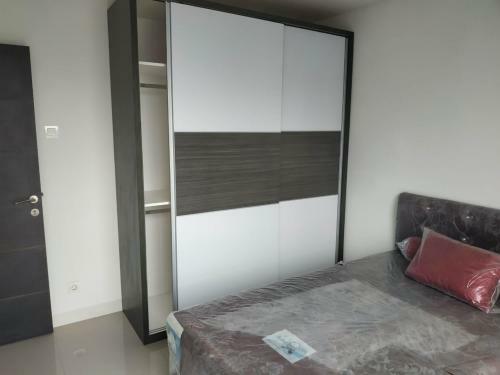 Condition: fully furnished, well maintained, clean room. 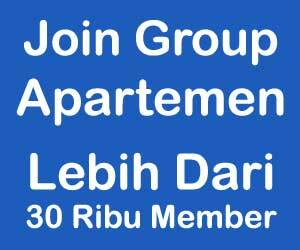 Facility: Security 24 hrs with CCTV, intercom from or to receptionist, ATM Mandiri, Gym, swimming pool, mini mart with laundry, Cafetaria. 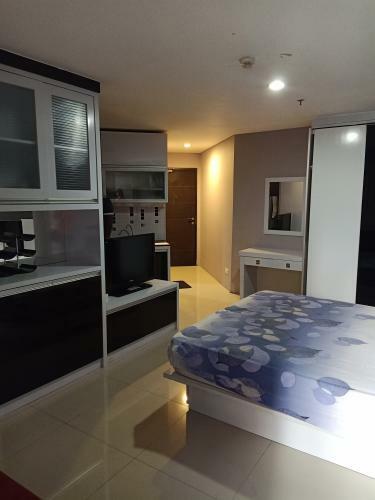 Additional Info: Queen size bed,kitchen set with stove, water heater, air conditioner, water dispenser, wardrobe, working table / dress table. 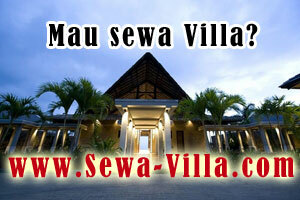 Excluding electricity, water bill, service charge etc.